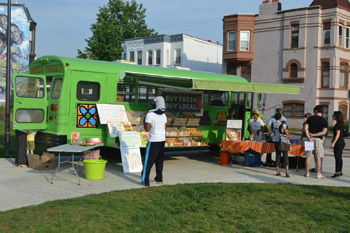 Arcadia’s Mobile Markets are farmers’ markets on wheels that deliver crates full of local, sustainably produced food across the national capital region, catering to underserved communities that don’t otherwise have access to fresh, affordable food. 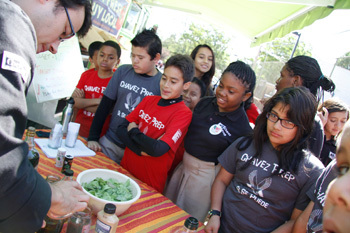 Arcadia’s Mobile Markets promotes healthy lifestyle choices by engaging community members at market stops and students at schools in the preparation of local produce in cost-effective, nutritious ways. 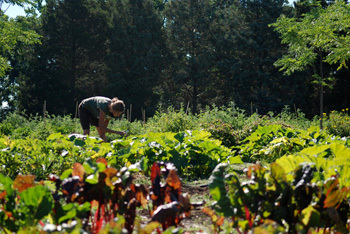 Arcadia’s Farm to School Program is designed to improve our local food economy and the health and wellbeing of schoolchildren by helping schools get more local, healthy and sustainable foods into school meals. 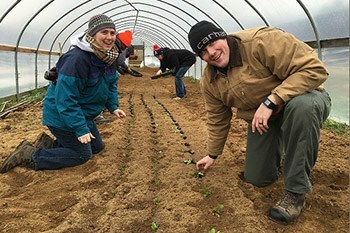 Arcadia’s Farm to School Program also provides hands-on opportunities for schoolchildren to connect with their food and where it comes from.